The Central Florida Blogger and Social Media Conference was, hands down, the most educational blogging conference I’ve attended to date. Naturally I love meeting other bloggers, reconnecting with blogging friends and chatting it up at blogging conferences, but a conference that combines social time with educational sessions that really deliver is the JAM in my book. 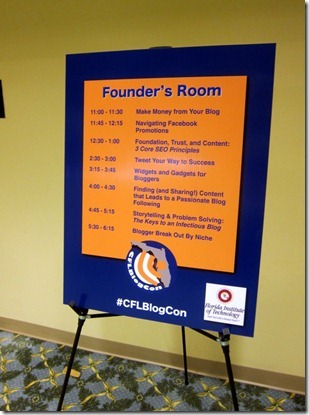 When I go to a blogging conference, I want to learn and take away techniques that will help me become a better blogger and improve your reading experience when you stop by PBF. I attended so many valuable sessions yesterday that offered some great insight into the blogging world and cannot wait to attend the conference again next year. I’ll try to highlight some of my biggest takeaways in this post for my fellow bloggers out there who might be interested. I know that whenever I read blog conference recaps, I often wish bloggers would go into more detail about the sessions they attended, so I’m going to try to share a lot of the tips I jotted down at the conference. Since my recap will likely be crazy long, I plan to break it up into two posts. Buckle up! Before diving in, I must also say that I am incredibly impressed with Bess Auer and the planning team behind the conference. They put together an awesome event and this was only their second year planning the conference. They sold out and had 200 attendees! 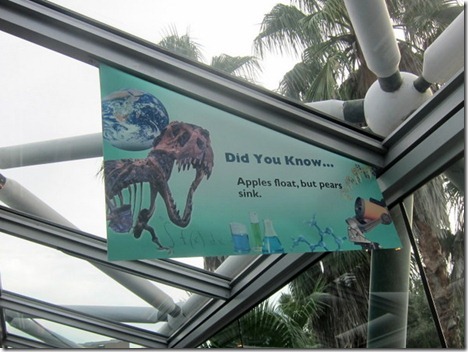 The conference took place at the Orlando Science Center and as I walked to the check in table, I had a little too much fun reading the fun facts that hung above my head in the walkway leading to the Science Center from the parking garage. 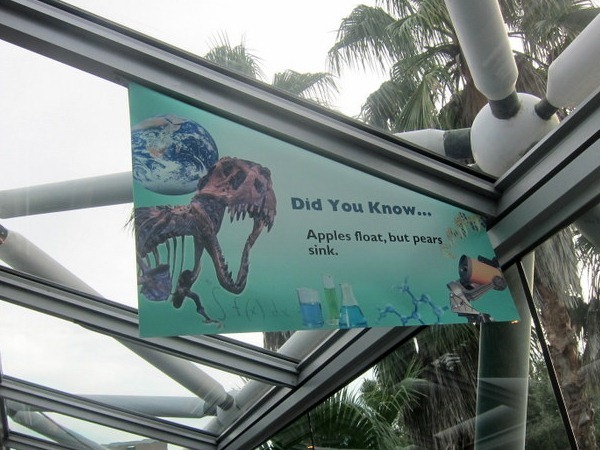 Another fun fact? Pet hamsters can run up to eight miles every night on a wheel. Athletic little buggers, huh? After checking in and picking up my swag bag, I randomly bumped into Carissa who I met for the first time at the exact same conference last year. It was nice to see a familiar face right off the bat and we walked to see the keynote speaker together. I ended up hanging out with Carissa for a lot of the conference. She is so much fun and pretty darn hilarious. I want her to move to Ocala and make me laugh all day long. The keynote speaker at the event was Lou Mongello, a notable Walt Disney World author, expert, host, speaker and historian. He is the host/producer of the WDW Radio show and used to be a lawyer until he started a website that took off that was all about Disney World. If you want to blog for a living, you have to treat blogging like a job and put in the time. It takes a lot of time. Don’t expect overnight success. If you want to be a professional blogger, don’t accept freebies. Coca-Cola doesn’t pay Good Morning America in Coke. Accepting freebies won’t feed your kids or pay your bills. Don’t be afraid to ask for more. Treat your blog readers like friends. Think outside of your platform. If you’re a blogger, you should be creating videos, too. If you’re a podcaster, you should be blogging, too. Some people want to watch you. Some want to listen to you. Others want to read what you have to say. Give people “you” in the way that they prefer. Consider offering products on your site and creating an app for your blog. After Lou’s speech, attendees consulted the conference schedule and chose their first session of the day from a list of three different sessions that covered a variety of topics. Every 45 minutes or so new sessions would begin that attendees could elect to attend. I loved all the options but hated missing out on some sessions that really interested me because I was in a different session that simply interested me a little bit more. I guess that’s probably a good problem to have at a conference, huh? 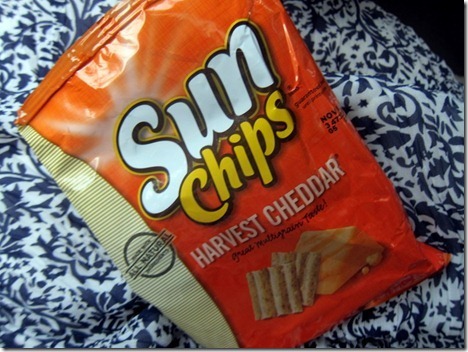 During the first session I attended, I broke into a bag of harvest cheddar SunChips that came in my swag bag. I was hungry and downed the bag in no time. I forgot just how delicious SunChips taste and remember being so jealous of my friend Kristen’s lunches in elementary school because she had them all the time! Ad networks like Google AdSense are a great starting point. You can earn more from vertical ad networks which are a great option if you blog within a certain niche. However, earnings likely won’t be significant unless you have a large audience and, even then, payment can be minimal if you factor in the amount of money a blogger must pay out of pocket to host a site that requires more bandwidth, etc. Never agree to “exclusively” work with an ad network that doesn’t guarantee you payment. Selling your own ads typically leads to the highest earnings, but requires a lot of work and personal sales. If you do wish to sell your own ads, DFP Small Business and OpenX are two free ad servers you can utilize. 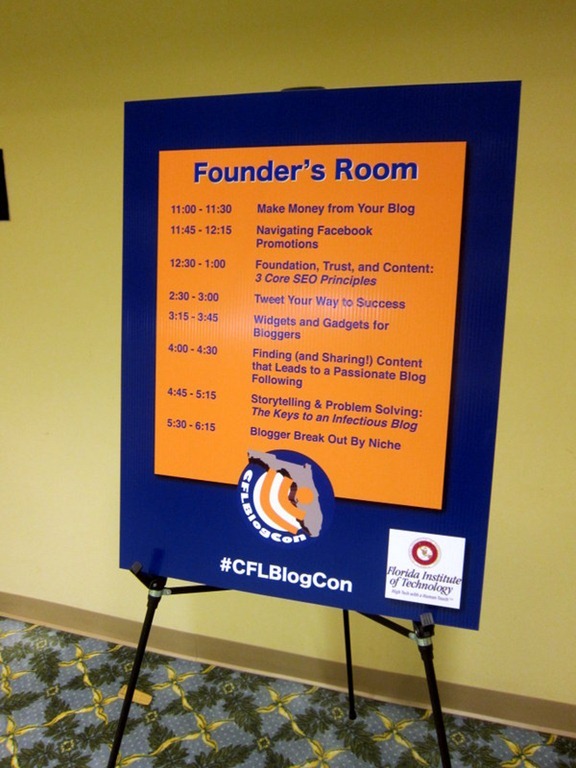 See ya in a bit with the second half of my CFLBlogCon recap! whenever my hamster escaped from my room as a kid, i never understood how it could end up in the basement. i thought that was SO far. apparently that little distance was child’s play! But hamsters are so small!! They’d have to take so many more strides than we would, and they still get through 8 miles a night?! That’s ridiculous!! That conference sounds like so much fun!! I hope I can attend one next year! From you experience at this conference and others, what would be considered a “large audience” and how much typically does it cost to host your own site? people didn’t really discuss the size of their sites at the conference, so i don’t have a number for you as to what someone would say is a “large audience.” as for how much it costs to host a site, it can be free (through wordpress/blogger), $15/month, hundreds or thousands or dollars, depending on the size of the site and how much bandwidth it requires. the cost of hosting also depends on who your hosts your blog, so there are a lot of variables. no one really asked matt for specifics on that either, so i’m just sharing what i’ve gathered from others along the way. i apologize for not having a definite answer for you! it seems like it’s not really black and white. i know matt was really great about answering questions, so you could definitely shoot him an email and i’m sure he’d have a lot more to share. ha!!! that cracked me up yesterday. 🙂 loved chatting with you! hamsters run 8 miles in a night uhhh what?? they’re so tiny! Sounds like a really informative conference. Thanks for sharing these tips and I’m looking forward to the next one! Can’t wait to hear the rest of the recap. As a new blogger, I’m looking for tips anywhere I can get them. 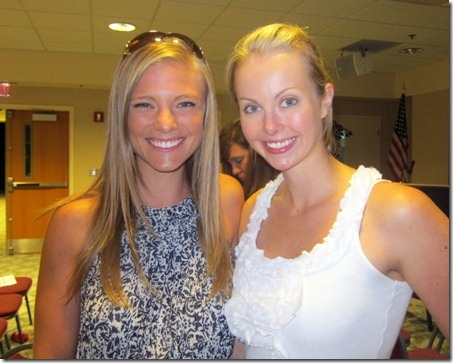 Nice to meet you yesterday at the fitblogger breakout session! So glad you are doing an in depth recap of all the great information. I’m afraid my blog post about the event will be all about having fun with my friends. I was on information overload and will need to go over the doccaster downloads to even remember what I heard! A great day. It was great hanging out with you yesterday! I don’t know if I have an Ocala move in me…haha…Orlando vs Ocala??? Tough choice. ps – don’t forget BOGO sausage!!! You just can’t go wrong with cheap sausage! It would even be cool if the app only consisted of recipes/workouts that you could star or put into lists or something – then you could just have the app update every few weeks or so and you could import all the new workouts/recipes?. Oh, I totally agree with this! Julie, I can’t wait for your app! I think about this daily when I log on to KERF’s app…. Love you! Wow what a great event – thanks for sharing some of your takeaways! I know I definitely appreciate it! i would love that! i’ll definitely be there next year! I love soaking up all the advice/info you provide regarding blogging tips. Although I have been blogging a year(but only seriously for 4-5 months) I still feel like such a newbie. I am considering going to self hosting in the next month or so, any specific companies you would recommend? I went to middle and high school with Carissa, what a small world 🙂 I’m glad y’all had fun at the conference… Anywhere they provide free sunchips is alright in my book! This is totally off-topic, but I think it’s groundbreaking. I’ve seen Chicago-style popcorn show up on this blog now and again, and have been super down thinking it wasn’t sold in Canada because I haven’t seen it anywhere. They sell bags of G.H. Cretor’s Chicago Mix popcorn at Bulk Barn for like $3.50/sizable bag. SO EXCITING. and extremely delicious. Thanks for planting that seed, Julie! And thanks Bulk Barn! Thanks SO much for sharing these blogging tips! I’m pretty new to the blogging scene and reading up on as much as I can, I’d love to attend a conference myself! Looking forward to reading more about the blogging tips. I’m new to WordPress, thanks to your recommendations, and need all the tips I can get. So much helpful information! Thanks for sharing! 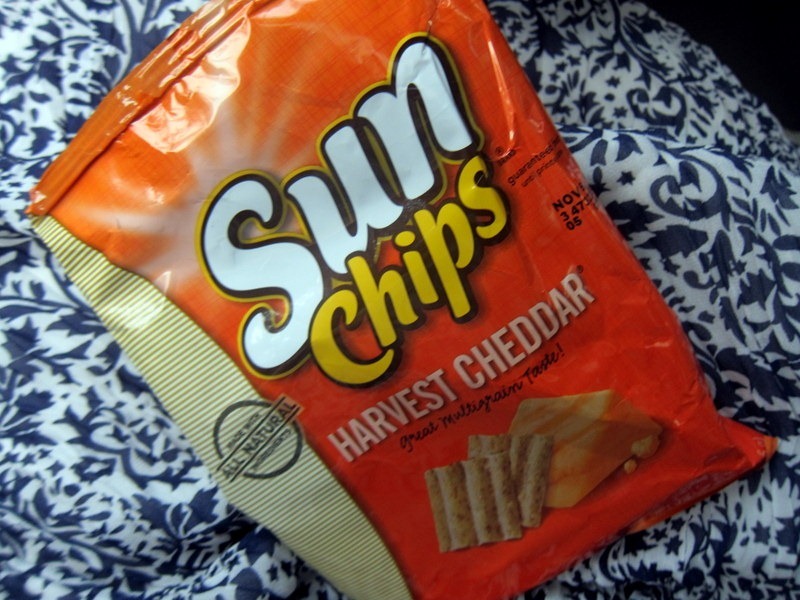 Sun Chips are SO good – but I rarely buy them. Whenever I do it’s always “oh these are so delish why don’t I buy them more often” haha. And then I remember because if I did buy them I would eat them all in one sitting so not a good idea. I think these are great take-aways. I definitely have benefited from content marketing events (I do product marketing for a living). I’m curious though… wasn’t your trip to Hawaii a freebie? yep! i was really interested to hear his thoughts on that one! i just feel awkward asking for more or negotiating, but he was really adamant about that one – as were some other companies that work with brands later in the day! So where do you think one draws the line for accepting freebies? I used to work in PR, and journalists never accepted freebies or wanted to skirt around it. I quit PR before bloggers started popping up all over the place, so I’m curious where you draw the line. So wait, I think I’m confused. Was he saying don’t accept freebies at all or that on top of the freebies, you should be receiving $ to work with a company? Hi Julie! Sorry we didn’t get a chance to say hello while at the conference, but thank you for the kinds words about the keynote,. I’m really happy to know that you got some good takeaways from it! If there’s ever anything I can do to help, just let me know! Thanks again! I just wanted you to know that I thoroughly enjoy reading your blog. I have learned so much and am very appreciative. I honestly look at your blog 2-3 times daily. Addicted much? Nah. You inspire me to expand my blog as well which initially started as a family blog (raising twin girls and loving life). Thank you for posting such amazing and entertaining material. Also very helpful. Thank you thank you! This is so helpful! I am really trying to get into blogging and all the information that I can get the better!